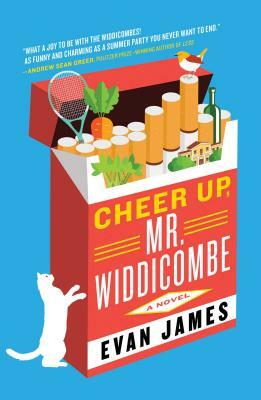 Evan James joins us this afternoon read from Cheer Up, Mr. Widdicombe (Simon and Schuster), a delightful novel set very nearby. The inimitable—some might say incorrigible—Frank Widdicombe is suffering from a deep depression. Or so his wife, Carol, believes. But Carol is convinced that their new island home—Willowbrook Manor on the Puget Sound—is just the thing to cheer her husband up. And so begins a whirlwind summer as their house becomes the epicenter of multiple social dramas involving the family, their friends, and a host of new acquaintances. "Cheer Up, Mr. Widdicombe is shrewd as hell and hysterically funny. A summer novel, a comedy of manners, a razor-sharp satire of the idle rich...there's so much unbridled pleasure to be found in this rogue's gallery of new-age self-help gurus, aspiring screenwriters, bird-watching party-planning social climbers, lovesick assistants, despondent patriarchs, ne'er-do-well houseguests, indolent watercolorists, and loveably loathsome cads of all kinds." -- Carmen Maria Machado. 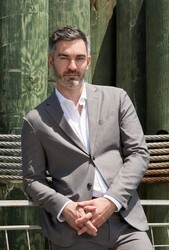 Evan James, an award-winning writer whose personal essays and fiction have appeared in such publications as the Oxford American, Travel + Leisure, and elsewhere. He was a 2017 Emerging LGBTQ Voices Fellow at the Lambda Literary Writers Retreat.